Yucatán, Mexico: a small beak tentatively takes some food from its human surrogate mother. Even at this stage, the features are recognisable – this is a baby Scarlet Macaw. A team of parrot experts are trying to rebuild the wild populations of one of the most colourful parrots in the world. Every newly hatched parrot baby is nurtured until it is fit for release. Not only the Scarlet Macaw is struggling to survive in the wild, but many other species of wild parrots are declining in numbers as well. Several thousand kilometers away, in the city of Stuttgart, Germany: a flock of adult Yellow-headed Amazons are swooping into trees. Snow is falling, and the parrots look out of place against the grey buildings and drab skies. But these parrots live in the wild – and are growing in numbers. The same trend can be observed across the world. In Sydney, Sulphur-crested Cockatoos are a common sight. In Argentina, Burrowing Parrots have established colonies in local towns, and in Phoenix, Arizona, the saguaro cactus provides an ideal home for the charming lovebirds from Africa. The lives of these different species of parrots tell a fascinating story: in their native habitats, the numbers of parrots are declining. At the same time, over the past few decades, they have slowly been taking over our cities – in places where we would least expect to see them. Feral escapees have flocked together to form thriving populations that are now competing for space with native birds. A staggering 70,000 parrots already live wild in cities around the world – some of which are considered highly endangered in their native homeland. But why have parrots done so well in human environments? Is it down to their intelligence? Are they outsmarting native birds? Or is it because we find them colourful and fun, and so encourage them to live alongside us? 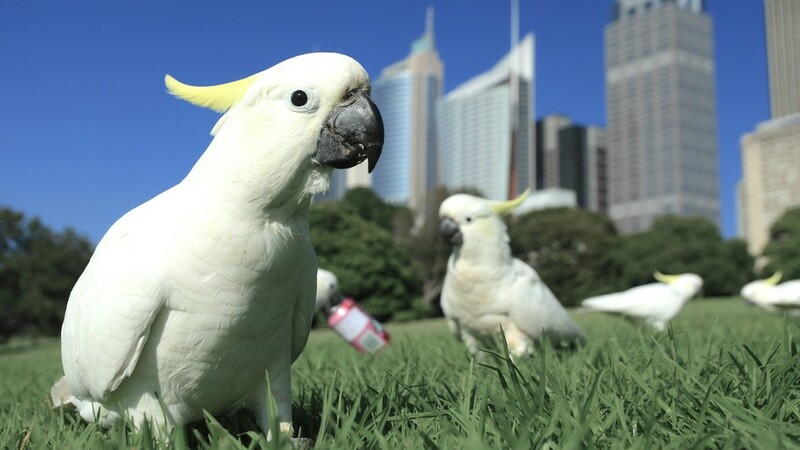 Exploring city parrots around the world, we discover a surprising truth. The answer to saving parrots in the wild may be found in our cities. Every city parrot might be a valuable genetic reservoir to help restock wild populations that have become extinct. ‘Planet Parrot’ is a story about a group of colourful, charismatic animals that are increasingly turning a human world into a sanctuary for their own kind. Producer Matt Hamilton reveals the upsides of filming in a city – a place you wouldn’t necessarily suspect a wild population of yellow-headed Amazons. Follow this link to read what it’s all about.